It’s a special two-for-one deal for you today Nerd Lunchketeers as we podcast, we die and then we podcast again. 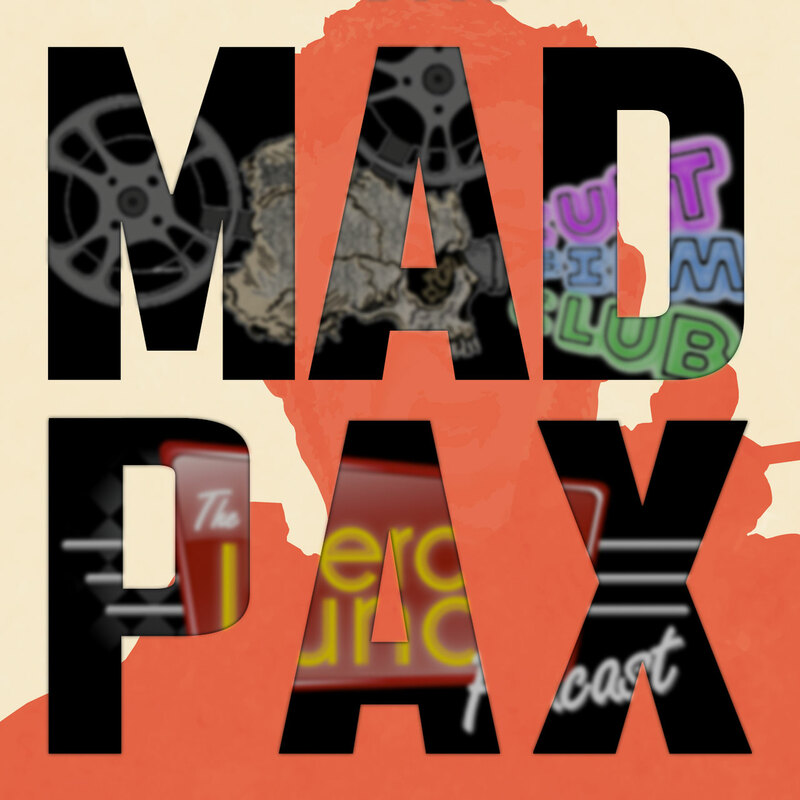 We have teamed up with our friends at the Cult Film Club Podcast to bring you a podcast crossover where, over the course of two shows, we dive in to the post-apocalyptic world of Mad Max. This month on the Cult Film Club, hosts Paxton, Jaime and Shawn gear up for a fuel-injected podcast crossover of post-apocalyptic proportions as they welcome the Nerd Lunch crew into the clubhouse to talk about all three films in the original Mad Max trilogy! We stripped down the extras a bit to make way for an extended conversation on this triple feature packed into a dense yet fun conversation where we touch on the actors, the fan theories that connect the films, the amazing gonzo special effects and character designs, as well as the scores and a little bit of lead up to the recent Mad Max Fury Road.